Everything Is Art: Go big or go home. 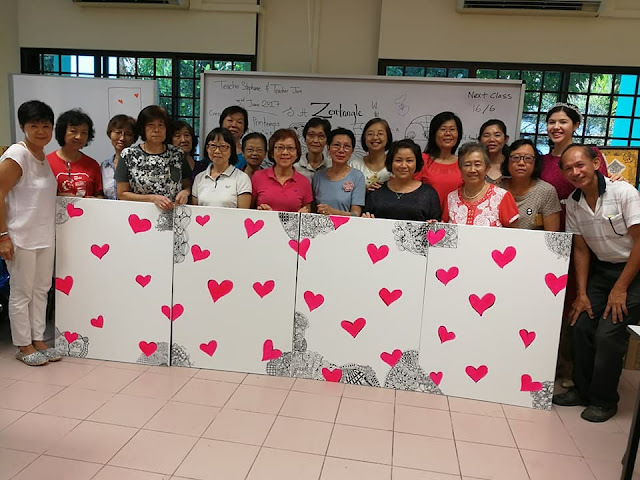 My mum, Joni, and I had a workshop at Bukit Batok Zone 3 RC. We are in the process of creating a large 4m by 1m (13 feet by 3 feet) community art work. The purpose of the project is to get more people to find out about the Zentangle method, and also to create an art work that can be displayed at an art fiesta that Bukit Batok East Community Centre will hold in July. Look at my cute apron. Trying to build the confidence of the participants. "There are no mistakes," we say. 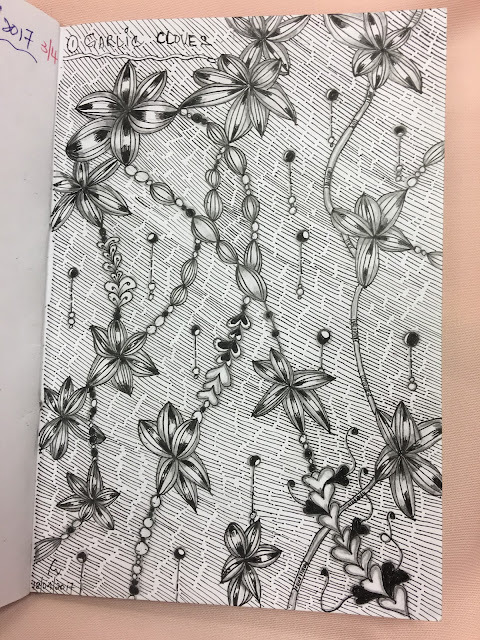 On that note, I wanted to show you a page from one of our students, Connie. We taught "Garlic Coves" re-imagined, and she completed the page this way. How wonderful. Here's my tile for last week's Diva (diptych) and Joey (Vano) Challenge combined. 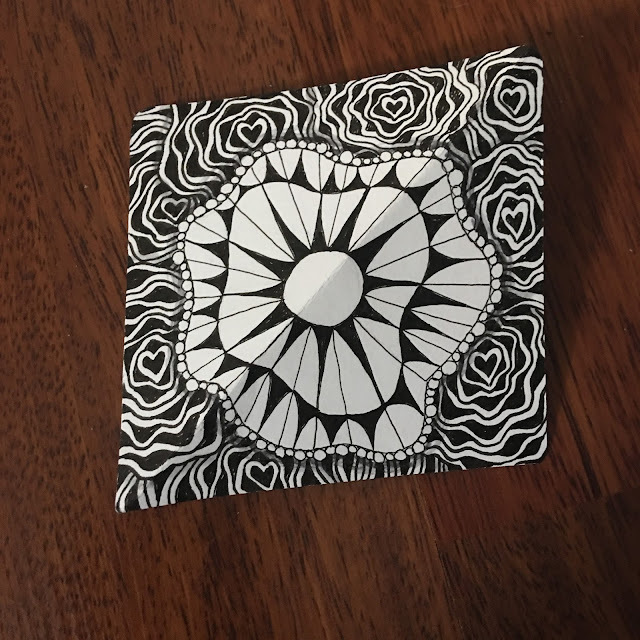 I recently got a full set of Tombow markers and decided to add shading with them. They're water-based so they don't have that strong smell that alcohol-based markers usually have, which is great. I've been loving them so far. Vano and my version of Diva Dance Rock and Roll. Thanks for stopping by. I hope you've been inspired. :) Until next week, keep tangling!